Add a bit of color to your Christmas tree or another beaded bulb to your collection. This beaded Christmas bulb is fun to make and has easy to follow step by step instructions. Here you get to play with various sizes of seed beads, glass pearls and twin beads. I find using larger beads, such as twin beads, projects seem to go together more quickly. Probably because of the size of the beads. I had fun designing this bulb and I created a pattern for it. 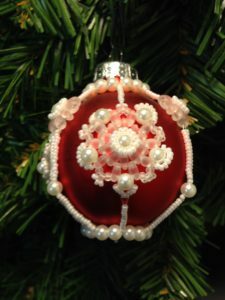 The beads are stitched over a 2-1/2″ diameter glass Christmas bulb. This is a PDF file you are purchasing. Once your payment goes through you will get an email with a link to retrieve the pattern. PDF files are non-refundable. This entry was posted in Beaded Item on July 20, 2018 by Wanda Pettijohn. Sometimes we need a little reminder that we are stronger than we think we are. 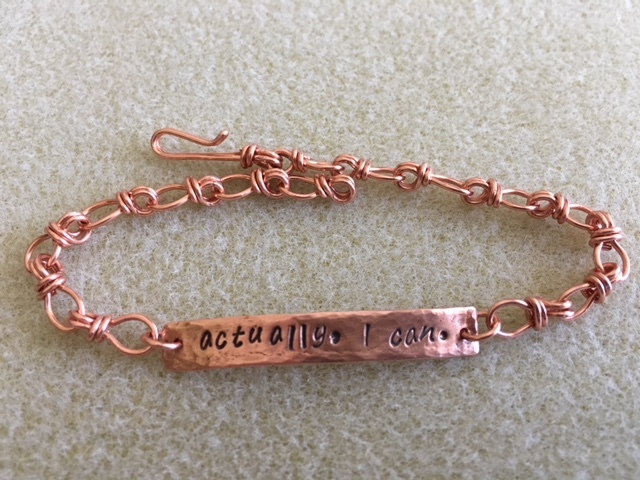 This bracelet is great inspiration! There is a quote by Henry Ford, “Whether you think you can or can’t, either way you are right.” Be positive and think you can! This bracelet is made of copper. It was hammered, textured, drilled, stamped, polished and curved. I made the jump rings and the chain by hand. It was a very fun bracelet to make. The ends of the wires were filed and bent inward so they won’t scratch your skin. It has a very smooth feel. If your wrist is 7-1/2″ or less it will fit you. If your wrist is smaller than 7-1/2″ the hook can be moved to the link that is most comfortable for you. This bracelet sells for $16 and I will provide a link to my secure web store. I am not that great at using WordPress so I will be seeking help to get my photo put on here in the right place and getting an icon for purchasing. Plus I will be taking notes so I remember how to do it myself on my next post. This entry was posted in Jewelry on July 3, 2018 by Wanda Pettijohn. 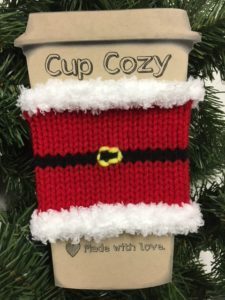 These Cup Cozies are a great gift. No cup should be without one. It not only helps keep you from burning your hands but it keeps your coffee hot a little bit longer. These are a fun stocking stuffer gift. Give that special teacher a useful gift that they can use over and over again. The body is knitted an the edges are crocheted. Just slip your cup into it and it’s ready to go. 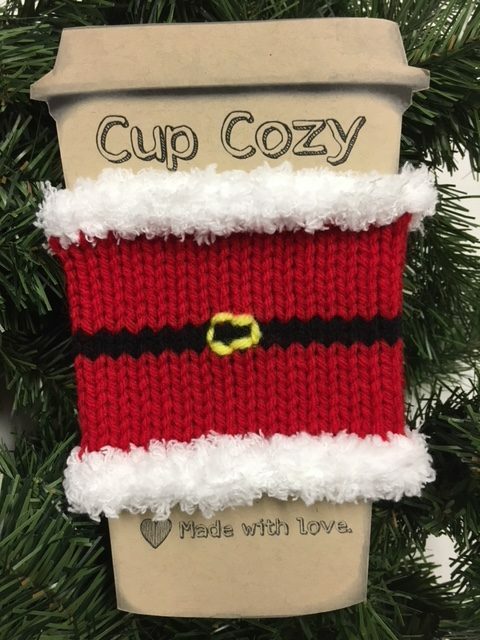 This entry was posted in Crochet on January 20, 2018 by Wanda Pettijohn. This week I finished the beaded scarf I have been working on for a couple of months. It did not take that long to make it. I only picked it up now and then to work on it. Though as it got closer to the end of making the base of the scarf, I did bead on it longer than I usually did. 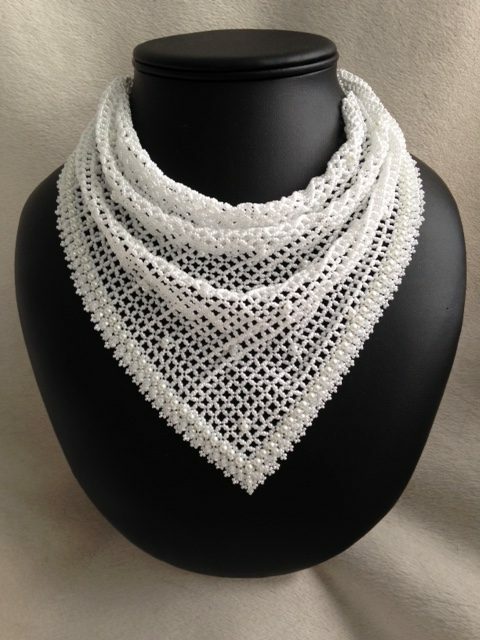 This is made with a mix of #15 and #11 seed beads. Glass pearls and rondelles. I did enjoy making this. I plan on putting it in my web store to sell and after it sells I will probably start another one! You will need about 50 grams of 11/0 seed beads and about 50 grams of 15/0 seed beads. Once purchased you should get an email telling you how to download the pattern. Thank you. A pattern is now available in my secure web store. (6-17-16) PDF files are non-refundable. This entry was posted in Beaded Item on June 4, 2016 by Wanda Pettijohn. 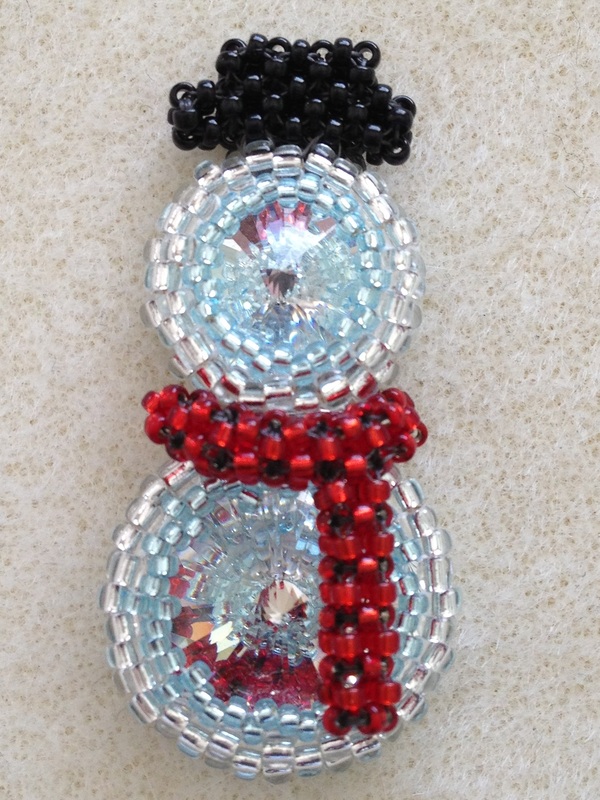 Sir Windchill is a fun beaded snowman I created using seed beads and Rivolis! He was fun to create. I made mine into a pin. He would make an adorable tree ornament too! I have made quite a few of these little guys. I sell them at my local craft fairs. I change up the color of the scarf to give the shoppers a little variety in purchasing him. I have worked up a pattern for this guy and it can be purchased in my web store. It’s an instant download, so after you purchase it online, you can begin working on him the very same day!! I LOVE instant downloads! Sir Windchill is comprised of seed beads and Rivolis. 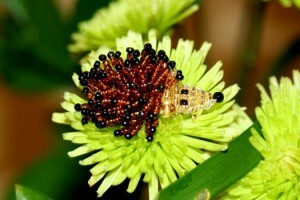 He is an intermediate beader pattern. The stitches you need to know to make him are circular peyote and cubic right angle weave. Click on “shop” at the top of the site to purchase from my secure web store. PDF files are non-refundable. This entry was posted in Beaded Item on February 2, 2015 by admin. Oh Meow is a fun beaded kitty I created using seed beads and Rivolis! It was fun to create. I made mine into a pin. I have made quite a few of these little kitties. I sell them at my local craft fairs. This is an instant download, so after you purchase it online, you can begin working on him the very same day!! I LOVE instant downloads! Oh Meow is comprised of seed beads and Rivolis. This is an intermediate beader pattern. The stitches you need to know to make it are circular peyote and cubic right angle weave. 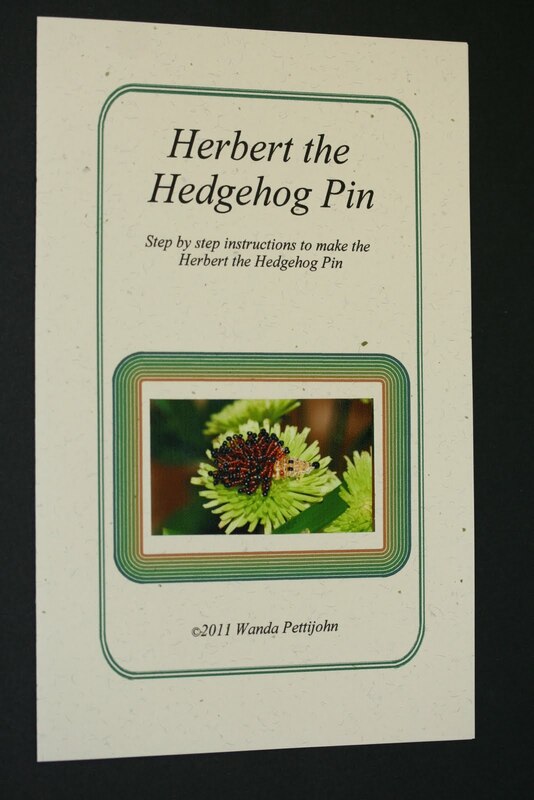 Herbert the Hedgehog is my latest beaded creation. He has gotten a lot of attention at my bead classes and I’m very excited to be teaching him! I put a pin back on the belly so I can wear him on my lapel or jacket! I honestly don’t know how the idea came to me but when it did I had a lot of fun with it. It did take me three tries to get the head right. The first one was way to long and he looked like an anteater! So I shortened it up a bit and it was still too long. Third time was a charm. I got the face/head length just right and I attached it to the body. I was SO excited when I got it finished. I just liked how he turned out! I will also be adding more beading patterns to my secure web store in the upcoming weeks. PDF files are non-refundable. This entry was posted in Beaded Item on April 26, 2014 by Wanda Pettijohn.